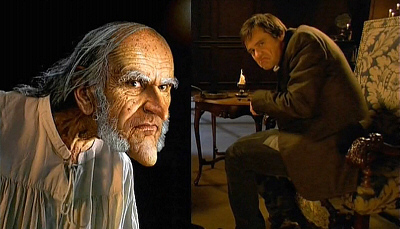 I think Scrooge his voice sounds a bit too much like Carrey, to be honest. He should sound older and grumpier, even when he's afraid and going "Wraaaagh". The Voice of Gary Oldman is fun, fun, fun. The animation looks very good and the faces look alive. Thumbs up, so far. Last edited by fluffy on Mon May 18, 2009 7:08 pm, edited 1 time in total. I think that clip is from the first trailer! 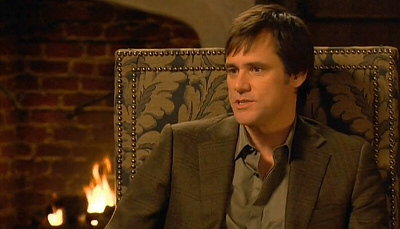 Jim sounds like Johnny Depp in this clip, but I'm sure an English accent fits him well! Anyway thanks for the clip! 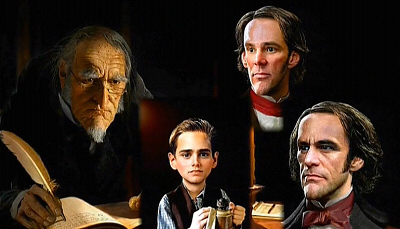 I agree with you Steve, Scrooge sounds too much like Carrey IMO. But only in the screaming part. But hey, it's just 1 scene. I'll have to watch the whole movie before I judge. The clip's not working for me! *edit* wait, maybe this one works for you? It's best that you let tis one load completely and than watch it. very very cool clip! Jim reminds me of Count Olaf eh! I so can't wait for this movie to come out November 6th. It's this year right? I'll make it on my calender! Funny thing, every time I watch that clip, I always giggled at the line "I rather not." Worth watching over and over! Thanks Steve. Now I got it. Oh and I just found it on WorstPreviews too. It looks great! This performance will go down in history as Jim's most dynamic of his career!!! Great! Did anyone notice how the little fella actually looks like Jim when he was younger? Eyes, nose, mouth.